Lately there have been many high adrenaline boxing happening all around. 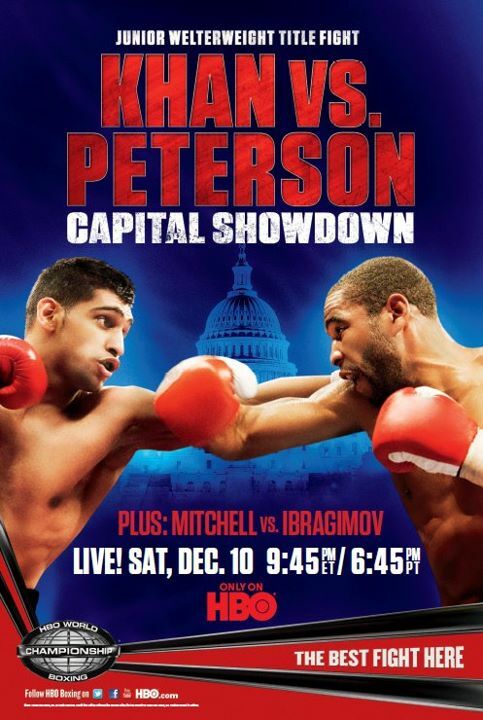 Today is going to be nothing less than a stunner, when Brit/Pak Champion Amir Khan will face local hero Lamont Peterson in Washington DC. Amir Khan is a young guy full of high adrenaline and testosterone level. He is quick in the ring, followed by his immense punching power. In order to undo Peterson he needs to dictate early into the game in order to gain sufficient advantage over the rival. Peterson will be having his home side cheering for him , adding huge boost to his performance. Apart from that he needs to produce something exceptional in order to win the match. In comparison he is more technically sound fighter. Though he lacks speed as possesed by Khan, but he is intelligent enough to know when to strike, and go on defense. Despite Peterson being more technically viable, but still boxing is all about speed, agility, and able to force the opponents to their limits. According to me Amir Khan will have definite advantage, and Peterson will be having more odds when doing in to Convention Centre. This fight is going to be better than predicted I think, Khan has more power and speed, but Peterson is a sound boxer with good technique. However, I think King Khan will come out on top with an 11th round stoppage, he’ll just be too much for Lamont. I’m going to watch the whole fight tonight on HBO in beautiful HD from DISH Network. Don’t miss out, their HD Free For Life offer is still running, and working for DISH I know that there is no better way to be watching the fight minus being there.